Total Scales Techniques and Applications download. This complete course starts with a bonus beginner section to insure that any guitarist at any level can use this video. It quickly progresses to intermediate then advanced levels of playing. First begin with universal shapes found in every key of music to expertly play scales and leads on the entire fretboard. Don’t worry about memorizing these positions! Memory will come naturally when Mark John Sternal demonstrates how to use these scales musically. Tasty licks, tricks and techniques like hammer ons, pull offs, picking patterns, vibrato, string bending, two hand tapping. Plus techniques exclusive to electric guitar including tremolo bar, string bending, and electronic control tricks. In addition you ll learn a ton of applications to make your lead guitar and melody lines stand out, and make learning your favorite songs a breeze: increment patterns, string skipping, double note patterns (harmony), two handed tapping, harmonics. All of this and more is introduced in a song context, giving thorough examples of how these scales, techniques and applications can be used with chords and song structure. To wrap up this amazing instructional DVD, Mark teaches you all of the modes, key changes, plus 50 exotic and cultural scales all on the entire fretboard! You ll be amazed at how expertly Mark John Sternal has simplified the art of understanding and using the guitar fretboard. The “Total scales and Techniques” DVD is the single best learning resource that the beginning or advanced guitarist can find. Mark John Sternal has created the “complete toolbox” of the really useful tools that you need to learn the fretboard, playing techniques, and other really cool stuff. From start to finish, each section is explained and demonstrated very well. The teacher starts at the beginning and assumes you know nothing about the guitar – nothing is taken for granted. There are years of instruction/application on this DVD. The quality of the DVD is very good and the attention to detail is superb. You would spend hundreds (if not thousands) of dollars to get the same amount of information from a private instructor. Efficient, concise, generous amount of info. 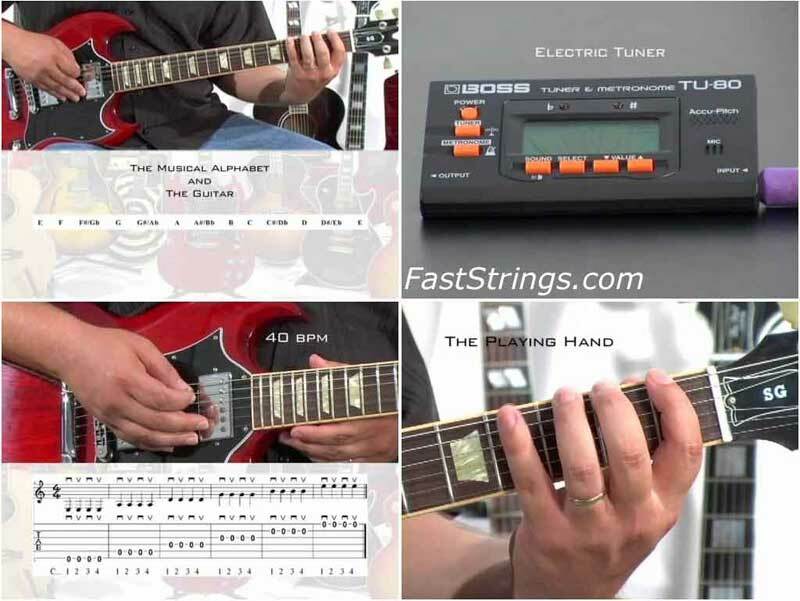 Simply the best visual guitar instruction to-date at a rediculously low price. This is a jump into a really solid understanding of what your guitar is capable of doing. Building understanding and confidence are the basics where one really begins to shine. Every player needs to get a command of the guitar and serious study will provide this for you. Many many thanks!!! Great work!!! Hi admin, does the pack contains the ebook as well? Incrível, Agradeço por nos dar a chance de ter aceso a este maravilhoso conhecimento! Hi admin, this is a great site, with an awesome collection, I deeply appreciate you doing this. The file’s asking for a password, what should it be?